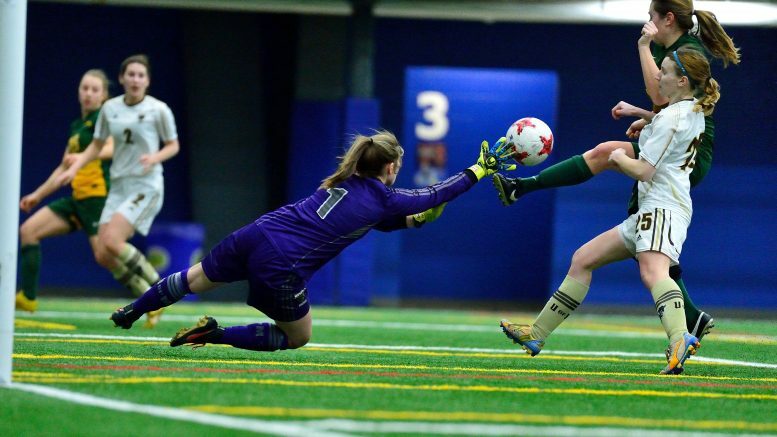 Bison goalkeeper Justina Jarmoszko makes a save against the Regina Cougars during a pre-season tournament on March 25 at the Winnipeg Soccer Federation North in Winnipeg. Manitoba won the match on penalties after a 1-1 draw after 90 minutes. The University of Manitoba Bison soccer team got a jump start on its 2018 season preparations by winning the 2018 Spring Tournament the club hosted this past weekend. Manitoba beat the University of Saskatchewan Huskies 2-1 Friday, then the Junior Bisons 5-1 Saturday. 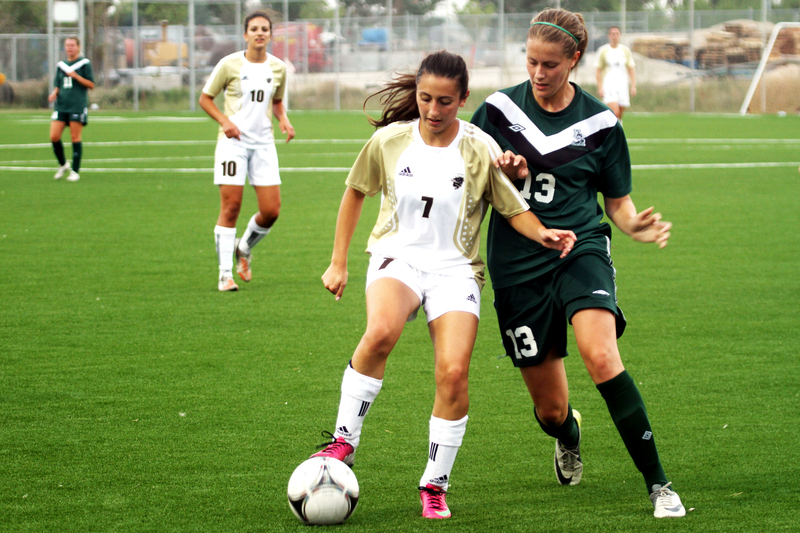 The Bisons capped off the weekend by beating the University of Regina Cougars in a penalty shootout after drawing 1-1. The Bisons showcased that ability to beat any team when they shocked the University of Guelph Gryphons 5-1 at the 2017 U SPORTS National Championships in Winnipeg in November. In their final game on Sunday, Manitoba found themselves down but after some consistent pressure found a late equalizer through Rebecca Martin. The herd then got the job done on penalties. The tournament was a chance for Martinez Lagunas to try some new things tactically and get ready for the upcoming season. Another team Martinez Lagunas is proud of is the Junior Bisons. Consisting of players from Grades 9 to 12, it was a big jump to play university competition. The Junior Bisons may have lost all three of their games, but they did not look out of place. The Junior Bisons only lost 1-0 to both Regina and Saskatchewan, before getting thumped 5-1 by the senior Bison team.